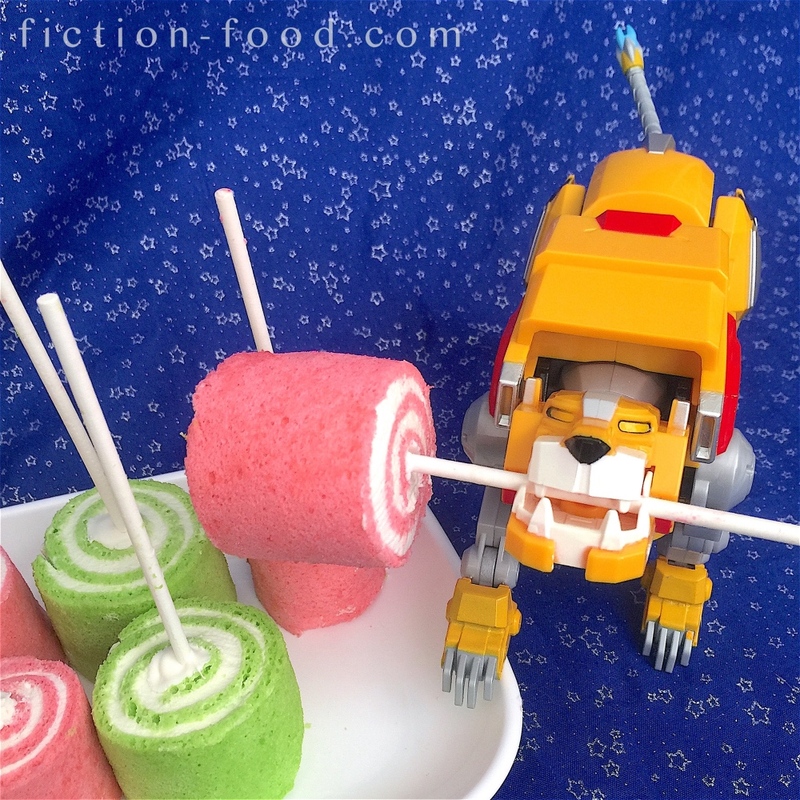 Happy birthday to Hunk, the teddybear paladin of Voltron's Yellow Lion in "Voltron: Legendary Defender"! Hunk is perfectly voiced by actor Tyler Labine. I'm so excited for VLD to return for season 2 on January, 20th on Netflix! To celebrate, I'm making a few recipes for the show, the first of which is for these little roll cake deserts for Hunk's birthday😊🎉. 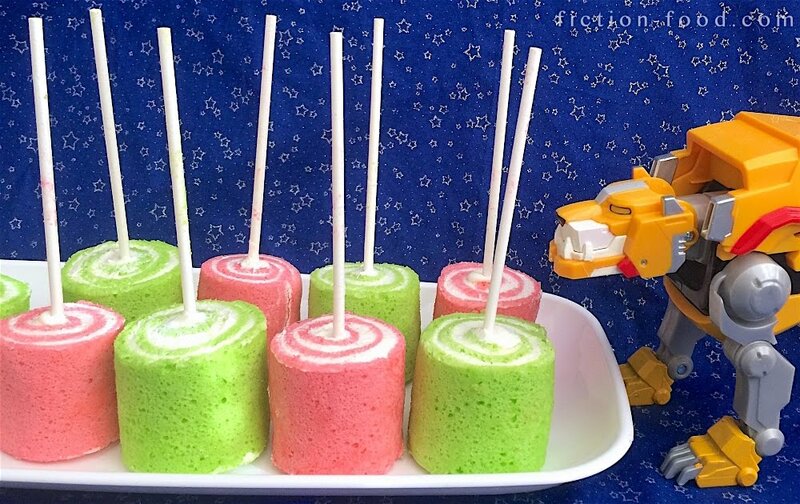 In season 1, episode 4, Allura holds a castle-ship "open house" for the Arusians, and there are floating platters of these bright pink and green, be-sticked treats being served. 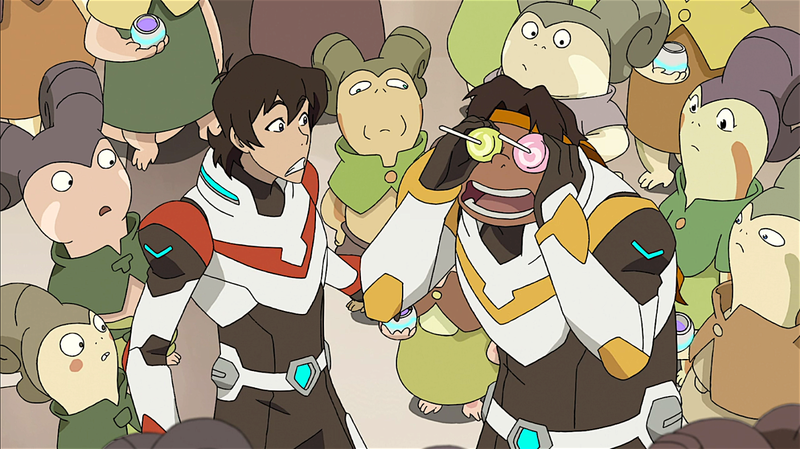 At one point we see Keith spit out some nunvill (aka "space juice") directly onto Hunk who's unfortunately standing across from him. 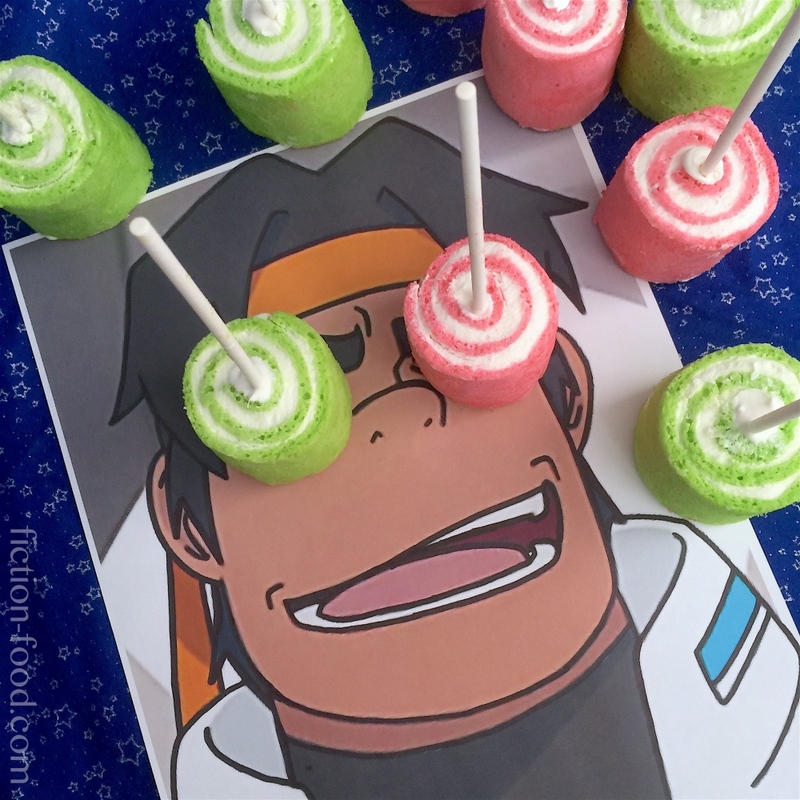 Hunk dips down, and then pops right back up with these little roll cakes on his face yelling, "my eyes!" Haha, what a ham. Keith probably would have spewed again if he'd had another drink. Elsewhere in the hall, we see Pidge sneaking a whole tray of these into her backpack. 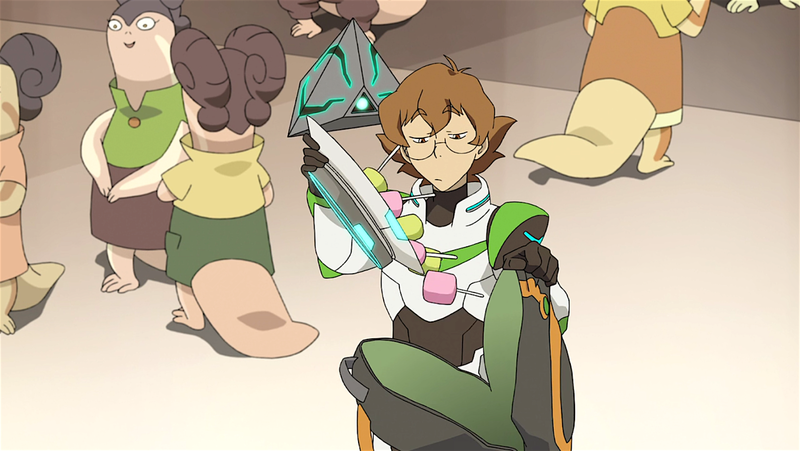 *wags finger* No, no, Pidge! Note: For this recipe, because there are two colors of these treats, you'll be making two small roll cakes (for 12 servings total). The recipe is adapted from one by Kitchen Tigress, which I used last year to make "Star Wars" Ewok cake slices! 1. Heat your oven to 350ºF. Line a 9"x13" baking tray with parchment paper, cut at the corners so that the paper lies flat on the bottom & sides of the tray. 2. In a mixing bowl, whisk 2 of the egg whites on medium high until soft peaks form. Add in 2 Tbsp. of Sugar + a couple drops of pink food color gel. Whisk until the mixture holds stiff peaks. 3. Using a hand whisk, gently mix in 1 egg yolk. Sift in 2 Tbsp. cake flour & whisk to combine, & then sift in 2 more Tbsp. cake flour (a total of 1/4 Cup). Next, fold in 2 Tbsp. canola oil + 1/2 tsp. vanilla or other flavoring of your choice. 4. Pour the cake batter into the paper-lined tray & spread out evenly, tapping the tray on the counter a few times to release air bubbles. Slide into the oven & bake for about 6 minutes, or until the cake springs back in the center. Remove from oven & lift the cake & parchment off of the tray & lay on a cooling rack. 5. Using a fresh sheet of parchment, line the baking tray again, & then repeat steps 2-4 to make the green cake, using bright green food gel (or a combination of green & yellow) & a different flavoring if you'd like. 6. Chill a metal mixing bowl & whisk attachment in the freezer (or wash in super cold water & then dry well with paper towels) & pour the heavy cream into it. Add the sifted powdered sugar & optional rum flavoring, & whisk on medium high until the cream holds stiff peaks. 7. One at a time, flip the cakes flat onto fresh parchment, & carefully peel off the parchment that they were baked with. Next, spoon & spread half of the whipped cream onto each cake, & then carefully roll each cake, long side up to long side (so you'll end up with 2 13" rolls). Wrap each roll snuggly in plastic wrap & then place in the fridge, seem side down, to chill overnight (if you have 2 paper towel tubes, cut a slit down their centers, & then place the cakes in them). 8. When you're ready to serve, melt the bright white candy melts in a little dish in the microwave at 30 second intervals, stirring each time, until fully melted & smooth. Remove the cakes from the fridge, unwrap them, & use a seated knife to gently slice 1/2" off the cakes' ends. Cut each roll cake into 2" segments (washing the knife before cutting the second cake). Lay out a sheet of parchment & sit each cake piece on it, spirals facing up. 9. Poke each cake piece with a white paper lollipop/cake pop stick down through the top, making a hole right up against the cake in the middle of the spiral. One at a time, coat about 1-1 1/2" of each stick with candy melt, & then slide the coated end of the stick into the hole you made, making sure the stick is up against the cake in the center of the spiral. Push the stick in as far as it will go (~2") & then lift the cake piece up (by the cake, NOT by the stick) & put a little dab of candy melt on the bottom center, where the end of the stick is. Lay the cake piece back onto the parchment (stick up) & let sit for several minutes so the candy melt can harden & secure the stick in place. Once all of the cake pieces have sticks & have had a few minutes for the candy melt to harden, you're ready to transfer them to a serving tray! Oh my goodness! 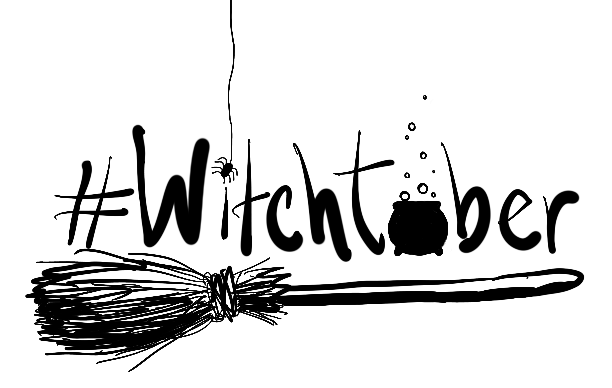 Thank you so much for taking the time to create and post this and so many other wonderful recipes! I recently became gluten free along with some other dietary adjustments for health reasons, so I'm excited to experiment with this. My twelve year old cousin has a sensitivity to gluten and as such mostly avoids it, so he won't mind my alterations. He got really into Voltron when I showed it to him and I'm looking forward to watching the second season with him. 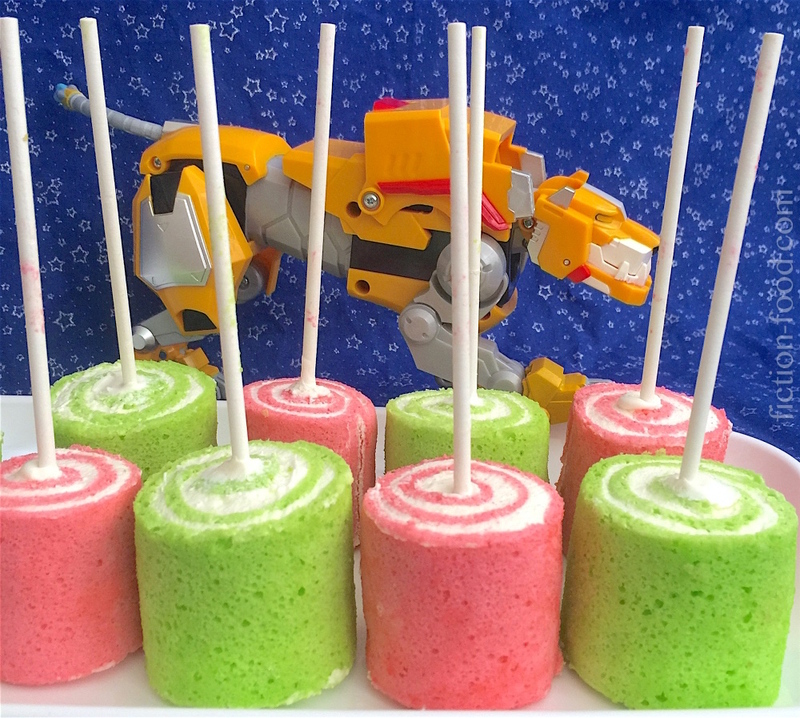 This time I might have some Voltron-esque treats to go along! Awesome! 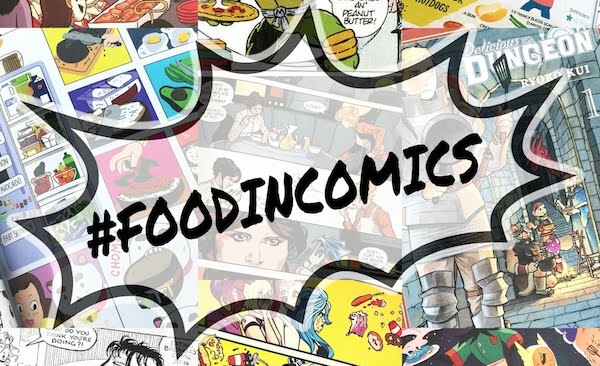 Thanks for the comment, and I hope you guys enjoy the recipes and season 2!